Rich original features and all the comfortable life. The property comprises a spacious living room, well equipped contemporary kitchen,bedrooms,and bathrooms. Please feel free to contact our consultant. 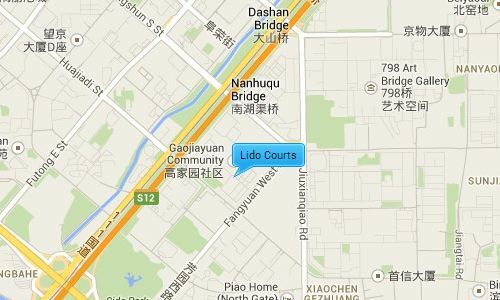 Lido Courts is only 15 minutes from the airport along the Airport Expressway, and near to the Worlds second largest IKEA. It is also near the 4th Ring Road giving it easy access to some of Beijing’s main destinations and popular expat areas like Lufthansa, CBD and Sanlitun, which contain a vast range of restaurants, shopping malls, supermarkets, health centers and a buzzing night life. It is also close to a major embassy district in the south.